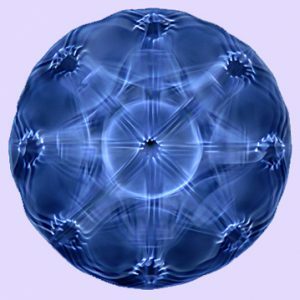 Sound Lounges, Tables, Pillows, Dolphins, Bass Pods, Crystal Harp, Crystal Bowls, Alchemy Crystal Bowls, Tibetan Bowls, Crystals, Tuning Forks, Tingshas, Hand Drums, Kalimbas, Didgeridoos, Gongs, Rattles, Brain Entrainment Light Glasses, Voice Analysis and Scalar Wave Frequency Transmission Technologies. with many heart opening meditations with sound. Find your home note where you are At Peace and get a CD in its key. Proven to be helpful for your immune system and all organs. Good for a wide range of issues. Find missing frequencies in your voice that correspond to different physical and emotional issues. Assessment and Song Remedies $65. Full Software $888. Purchase by April 28th for Online orientation May 4th. Since everything is vibration, even an intention is vibration. Some intentions are very pure, like sending love to someone. Some are more complex frequency combinations, like holding a balance of the masculine and the feminine on the planet. Since intention is simply a frequency, the strength and quality of the intention contribute tremendously to its effectiveness. If you hold an intention of healing love for someone in need, it will be exponentially more powerful when you hold it without distraction. If you can hold the intention for an extended period of time with 100% focus — as if in a trance — it is amazing what it can do for yourself or others. In the classes we have students practice holding an intention with 100% concentration. When you make a sound with an intention, and think of the sound itself as being the frequency of the intention, it becomes easy to hold the intention without thinking about any pink elephants. As you make the sound with intention for more than 5 or 10 minutes it becomes really easy to hold the intention 100% purely for extended periods of time. In the classes we have toned many intentions for more than an hour. Over the last seven years we have done recording sessions in the classes where we tone with an intention for over an hour. We have held individual intentions of Unconditional Love, Healing for the Planet, Gratitude, Compassion, Joy and 100% Focus. You can check out the CD by CLICKING HERE. However, even more important, is when you get a room full of people holding an intention with 100% focus it can be unbelievably powerful. You get a roomful of people holding intention without distraction and you can practically heal just about anything. You can even begin to make good headway on the planet and humanity. It has also been proven that intention gets embedded in recorded music. So when you play back the music it is carried by the sound to the listener. Binaural beats are created when two tones are detuned from each other by a small amount. When you have two speakers playing the two different frequencies simultaneously, the two sounds cancel each other out as they physically meet in space. For example, if you have 100 hertz and 102 hertz you will hear the difference tone of 2 hertz. And, because this is in the frequency range of Delta, it will entrain our brain into that brainwave state within one minute. The science on this is well proven. If you hook up an EEG unit to your brain (which picks up brainwave frequencies), you will see the brain synchronize. This has opened up an entire field of brainwave entrainment CD’s (just do a search on the web for “binaural beats”). The Monroe Institute calls it Hemisync. Centerpointe calls it Holosync. We actually have these brainwave frequencies embedded in most of our CD’s that we sell (CLICK HERE to listen to some examples). 1. Delta – .5 – 4 cycles per second – This is the frequency that your brain vibrates at when you are in deep sleep. Deep sleep is a very powerful state — it is when we are directly connected to Source. Therefore, these frequencies can be used to help you to get to sleep and to sleep throughout the night. They can also be used to give you needed rest without having to go into complete sleep. Delta is also associated with deep meditative states so it can also be use to entrain you into a state of deep peace. 2. Theta – 4 – 7 cycles per second – This is the frequency your brain goes into when dreaming. This could also be daydreaming. It is actually a very creative state where people often receive downloads or other creative inspiration. Therefore, it can be used before doing any type of creative brainstorming or artistic endeavors. Whenever, you tune into more than one thing at a time — simultaneously — you’re brain actually goes into Theta. For example, watching sparkles on the ocean can put you into Theta as you start to see waves of light move across the water. In this state “you” disappear, and you become only the experience. This also happens when listening to more than one sound at a time as in a song. You’ve probably had the experience where it seems like you become the music. Again, in this state you disappear. This state where “you” disappear is the same experience reported when a person enters into oneness with everything in the Universe. Therefore, you can use multiple sounds as a portal to access this incredible and profound state of bliss. In the classes we work with this technique to help you access “oneness.” This is the same state that has now become popular with “Theta healing,” that many are now learning. Theta is also a state that you go into when listening to the Shaman’s drumming in Journey Work. 3. Alpha – 7-12 cycles per second – Alpha is relaxed attention. It is also a very creative state, particularly when problem solving intuitively versus mentally. It is very powerful state that can be extremely helpful for better concentration, and for helping with ADD and ADHD. It can also help with memory loss. 4. Beta – 12-20 cycles per second – Beta is our normal day to day waking consciousness, especially when doing mental processing such as studying, thinking about your schedule, figuring out anything, or reading this text. Anxiety is associated with 16-20 cycles per second. 5. Gamma – > 30 cycles per second – Gamma shows up when in a high state of meditation. 6. Deep Delta – < .5 cycles per second – Deep Delta also shows up in a high state of meditation. Lower frequencies of .1 cycles per second happen when in a state of love. Whenever, we listen to any rhythm, whether is any drum beat or rhythm in music, the breath of a purring cat, a washing machine, or the slow oscillation of a crystal bowl — we can be entrained into a specific brainwave state associated with that rhythm. However, when you wear headphones, you get a second benefit. When you listen to one sound in the left ear it goes to the right brain. The sound in the right ear goes to the left brain. The brain then connects the two frequency across the Corpus Callosum — the part of the brain that normally functions to connect the two sides of the brain. When your left and right brain are synchronized this is our optimal state. We are rarely in a state of left/right brain synchronization, so it is quite incredible to be able to access this state almost immediately simply by listening to binaural beats on headphones. This frequency entrains every brain on the planet into Alpha/Theta. And, because it has been doing this for millions of years, we have become addicted to it — rather, it is part of the frequency spectrum of who we are as beings on this planet. In one way, it is our connection to the Earth (or, at least, our atmosphere). The only problem is this electromagnetic frequency is obscured by the electromagnetism in a city (Many people say that can actually hear it out in the countryside). NASA has found that we can actually get sick if we are missing this frequency. Therefore astronauts now get the frequency electromagetically while in space. In fact, one our instructors actually has a watch that pulses at the 7.83 hertz. 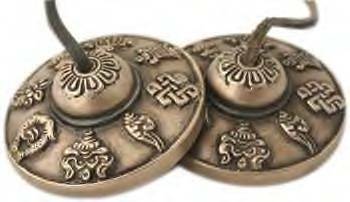 Tingshas are an ancient way of syncronizing the brain as they can be held so one frequency is in the left ear and the other is in the right ear. Probably the most intriguing aspect of brainwave entrainment are brain maps. You can actually do an EEG map of a brain in a high state of meditation and you will see a wide range of brainwave frequencies spread across the brain — from subdelta to gamma. You can then create binaural beats to entrain a person into that same brainwave map. This lends the possibility of creating brainwave maps for an entire range of higher emotions such as gratitude, compassion, love, and higher states of connection to Soul and Source. There are many in the field studying exactly how to do this. At the Institute we are also researching the possibilites of incorporating these frequencies into a Virtual Reality system in order to provide an entire array of perceptual stimuli to more fully entrain a person into these higher states. Research has now shown that each of us has a root or Soul frequency that we vibrate at. This frequency is most apparent when you are centered, grounded or in love. The frequency also naturally emanates from you when you are in a state of perfect presence and awareness of now. There are many frequencies that distract us from our own. There are sounds of the city, phones, cars, trucks, trains, planes, electricity, and electromagnetism. There are the chaotic and distracted frequencies of disconnected people around us. Probably the most difficult are the distracting frequencies within us — such as chaotic and stressful thoughts and pains. With all the chaos and inconsistency around us, no wonder it is so easy to lose your frequency. The whole goal is to regain the consistency that is “you.” That place inside you that is 100% consistent — calm and still. The truth is that any consistent frequency will essentially resonate your own root frequency. When any frequency is resonated within you, your root frequency is naturally triggered because your system knows all frequencies and recognizes each one as a musical interval in relation to your Soul frequency. 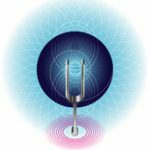 It isn’t as important to find your own frequency, as it is to simply have a consistent frequency vibrating you. This is first thing we notice whenever we meet someone — how consistent is there frequency? The most popular “teachers” have extremely consistent frequencies that radiate grounding, calmness and peace. When you are consistently in your Soul frequency you are especially centered and peaceful. When you find and get to know your resonant frequency you can use it to help lead you back to yourself where you totally comfortable in your skin, and at peace in any situation. If you are a sensitive person you can find your resonant frequency by simply tuning into yourself and listening for it. At the Institute, and Online we do several tests to find it. CLICK HERE to learn about our assessment techniques. You can then use this frequency to resonate yourself back to your core in several ways. Simply toning can do it, but there is nothing like listening to a song in your key on a sound table. It powerfully resonates your frequency through every cell of your body. Most people get off the sound table in a state of profound stillness. You can also listen to a song in your key (we have a few of our songs in every key). You can also ultimately get a Crystal Bowl in your key (I just love my “B” bowl), or even get a tuning fork. Then whenever you feel a little “whacked out” or off center you can use your CD or instrument to bring you back home. You can also use this note to connect to access your actual Soul. Your soul carries an array of information about you and your purpose in this lifetime as well as containing a direct connection to Source and all the information that is. When in alignment with the frequency of your Soul you are in alignment with both nature and Spirit. The ultimate goal is to find the harmonic template of health for an individual and then use it to resonate people back into their healthy state. Go to http://soundhealingcenter.com/shrf/geneom/ to see more info (although the site is still under construction).